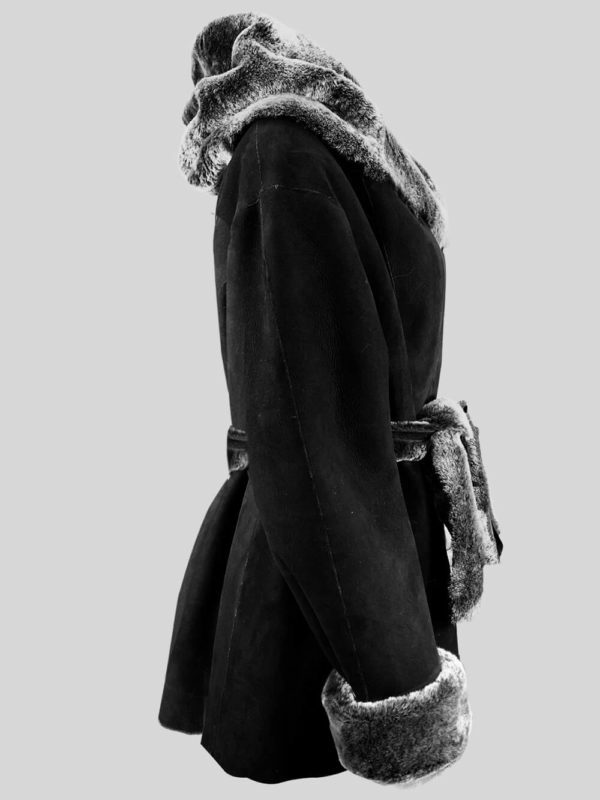 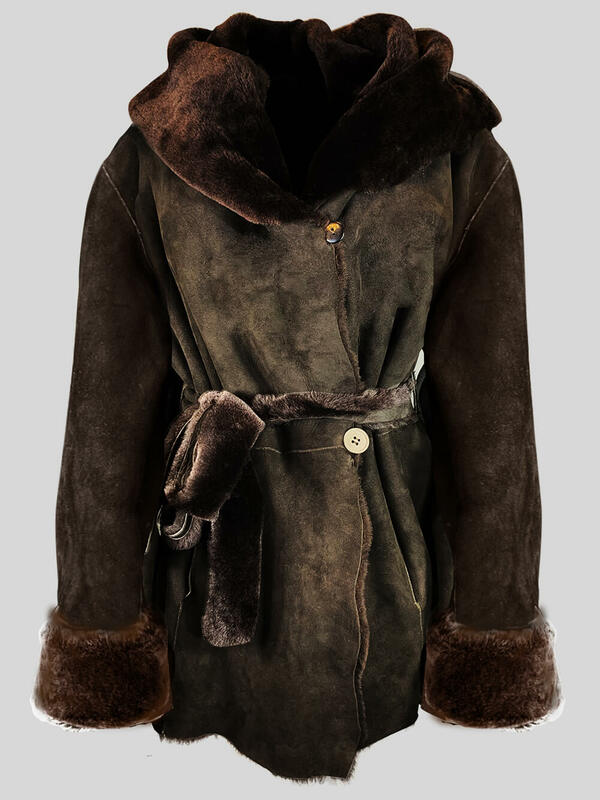 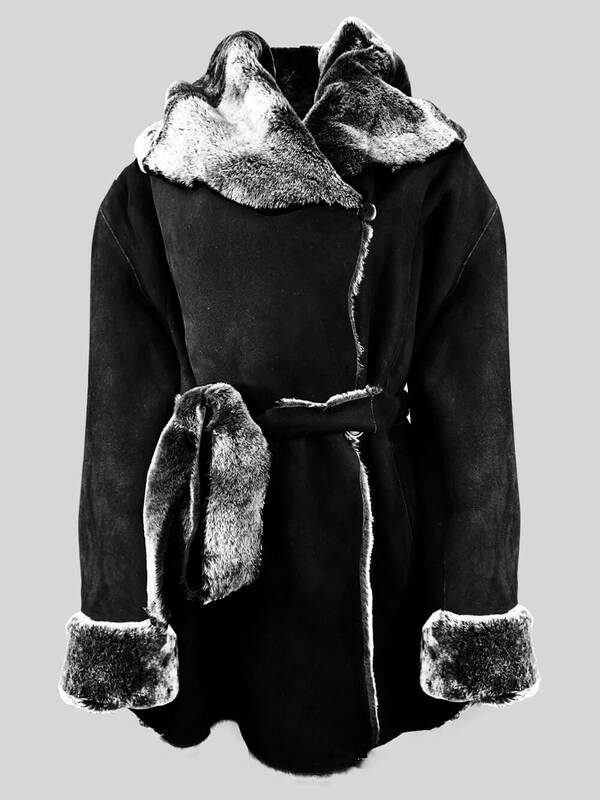 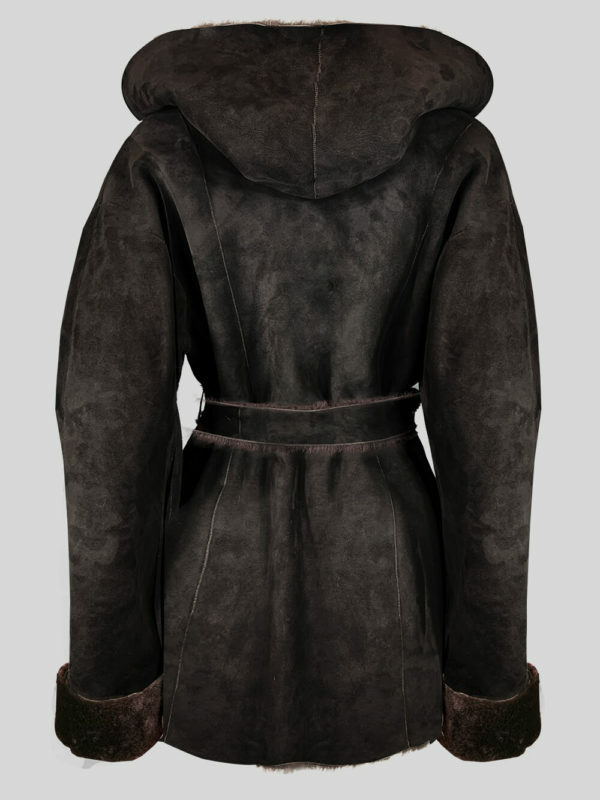 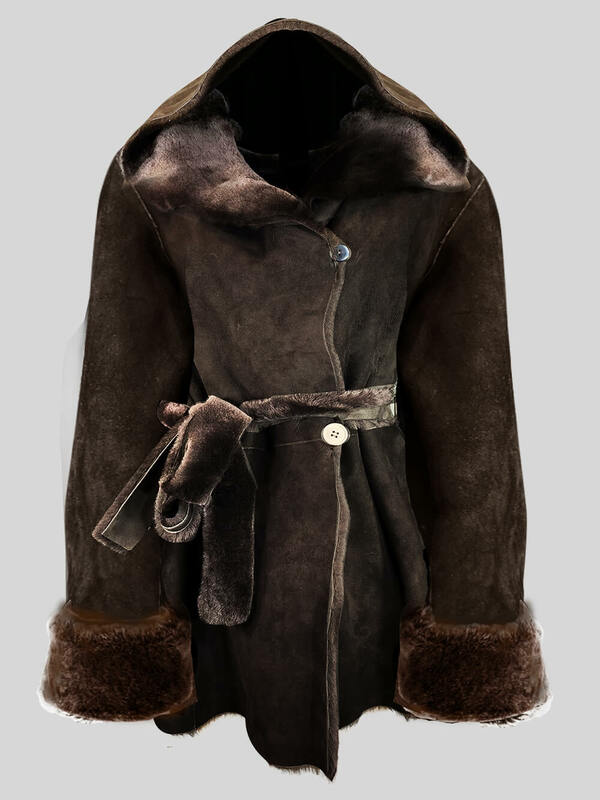 Description: This pure shearling coat belongs to Alen Cooper’s latest winter collection. 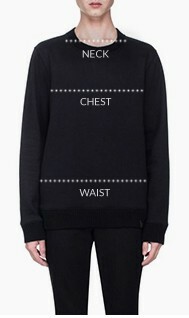 It looks slightly oversized though super cool and stylish. 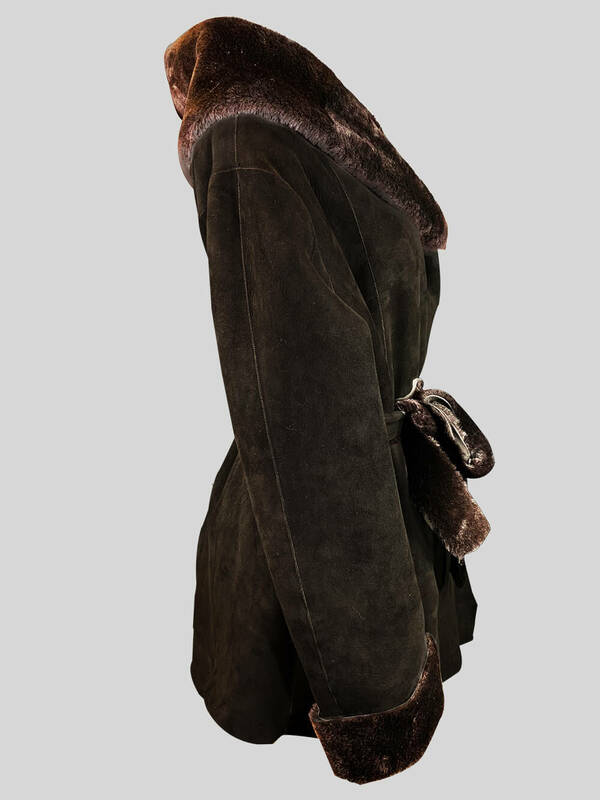 Long sleeves are comfortable and the wrist area is covered with raccoon fur trim. 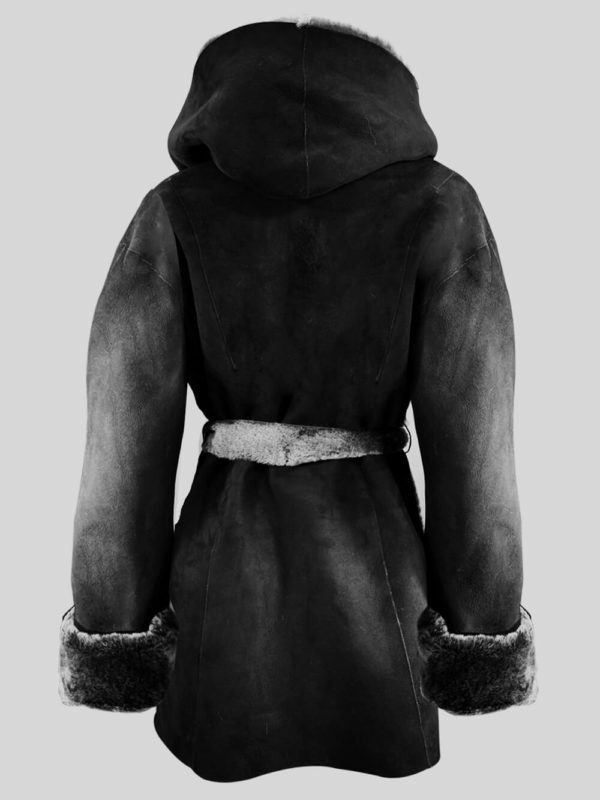 You can place a unique belt and tide that around your belly area. 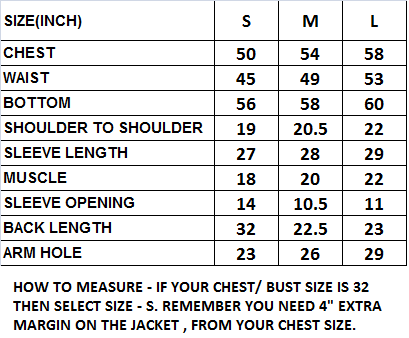 Though there is front zipper closure for comfortable and perfect fit.